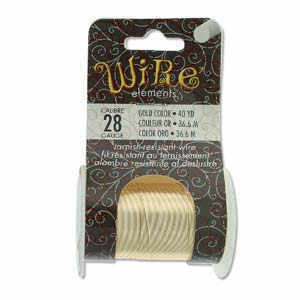 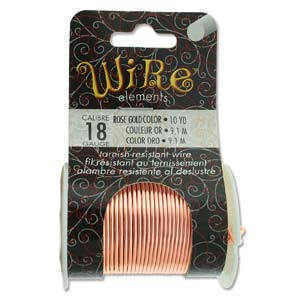 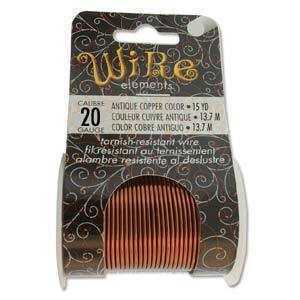 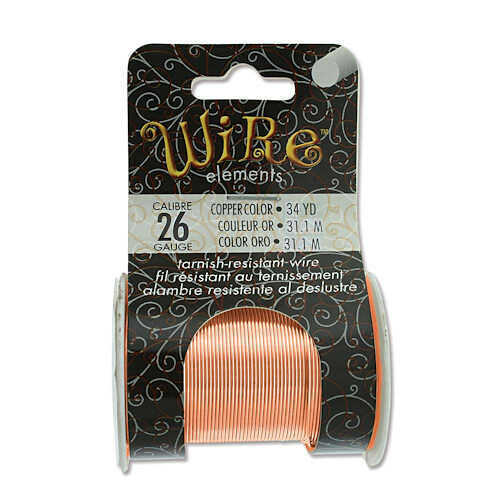 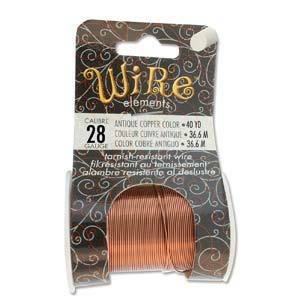 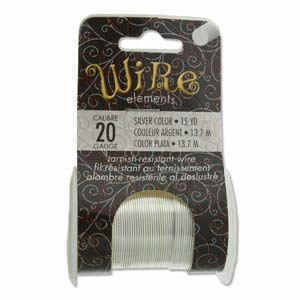 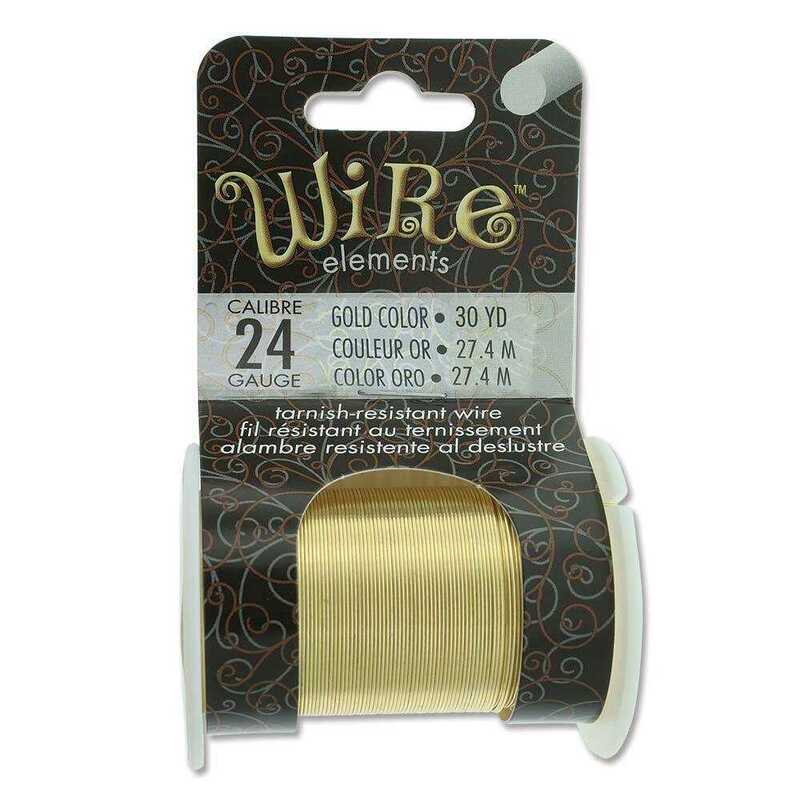 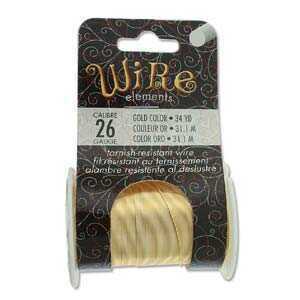 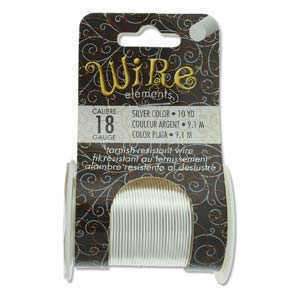 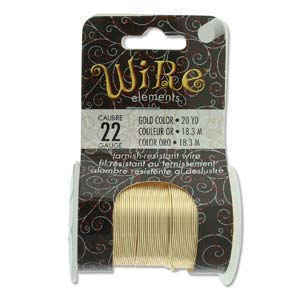 Tarnish Resistant Craft Wire, is ideal for use as an embellishment wire. It has a nice bright coloured appearance & is available in sizes 16, 18, 22, 24, 26, 28 gauge wires. 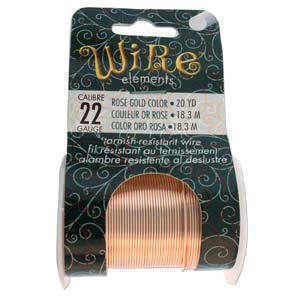 For example, 22ga wire is used for making earwires, 20ga is for jumprings and for stringing larger hole beads. 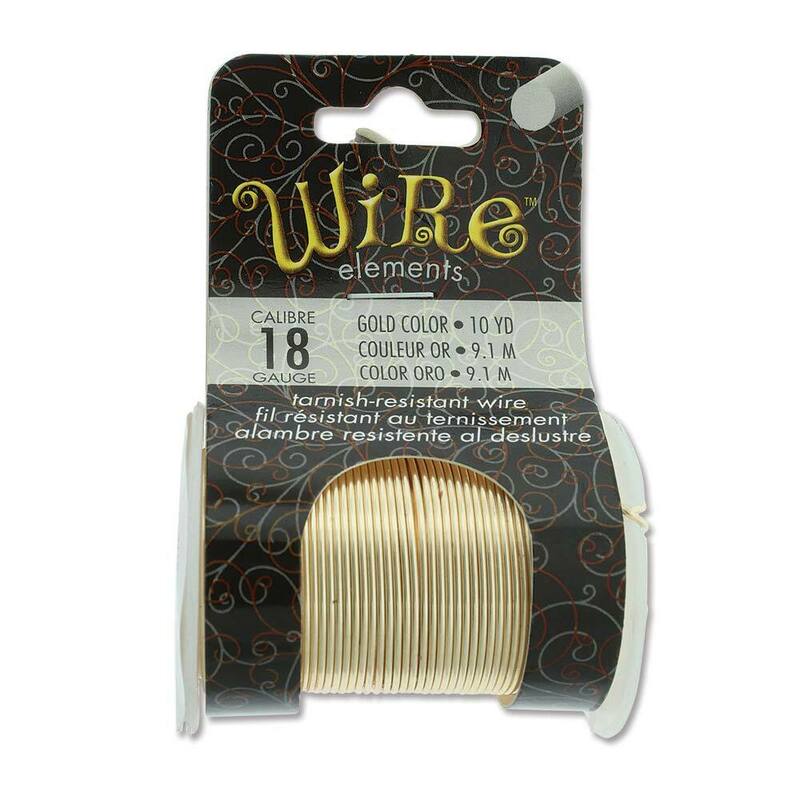 The gold colour wire has a core of premium grade brass, the copper wire is pure copper, and the silver colour wire has a copper core. 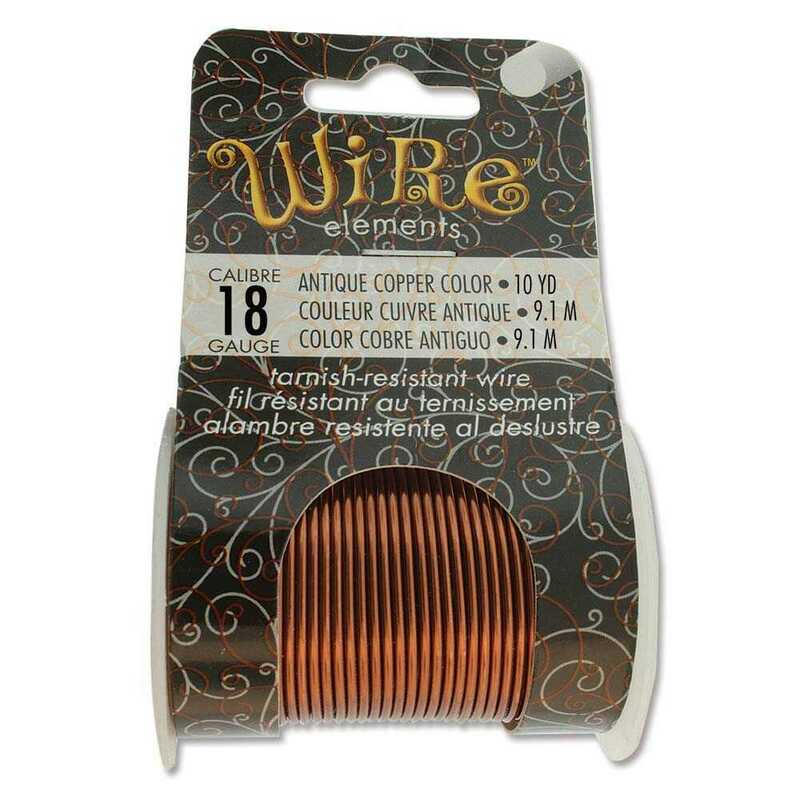 The tarnish resistant feature results from an oven-baked clear coat finish.